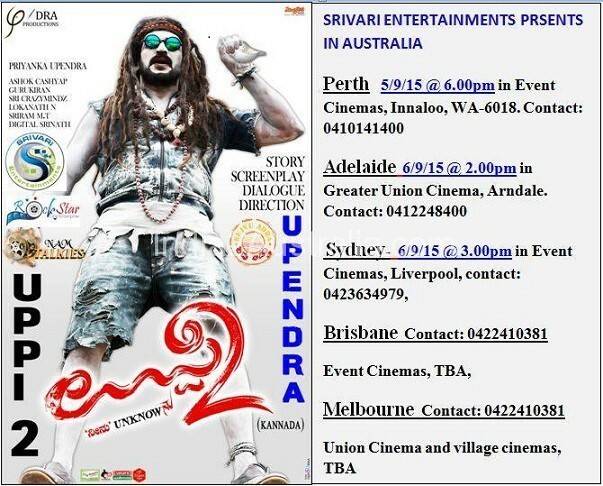 Uppi 2 (Kannada: ಉಪ್ಪಿ 2) is a 2015 Indian Kannada psychological thriller film written, directed by and starring Upendra in the lead role, and is a sequel to his 1999 film Upendra, and was produced under his production company, Upendra Productions. Alongside Upendra, the film stars Kristina Akheeva and Parul Yadav in lead roles. The supporting cast features Sayaji Shinde, Shobhraj, Satyajit, Bank Janardhan and Mimicry Dayanand.